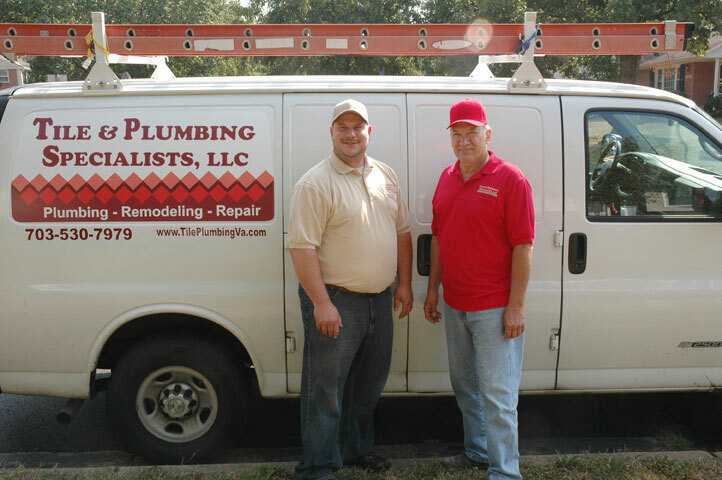 Tile and Plumbing Specialists is a friendly, family-owned, local Northern Virginia based tile and plumbing company that has more than 40 years of tile and plumbing expert experience. We are honest, hard-working and up front with all the costs, timeline and procedures. We are not going to surprise you with additional fees and we will never tell you to replace something that can be fixed for less. We pay great attention to quality, details and excellent customer service – and as a result most of our work is from return customers and referrals. We like to give our customers different options to achieve their goals, from basic repairs to elaborate projects … Tile and Plumbing Specialists is with you every step of the way! Lee Sist previously spent 10 years as the owner and operator of the Tile and Plumbing Gallery, where he introduced his son, Joe Dettmer, to the family business. Lee's background boasts a solid foundation of tile and plumbing knowledge and experience, serving customers through a storefront setting. Lee's love of the tile and plumbing business led him to later establish Tile and Plumbing Specialists, where he has spent the past 30 years applying his expert tile and plumbing skills to help customers repair, replace and remodel their tile and plumbing projects. Joe Dettmer began work for his father's company at age 16 as an apprentice and later went to trade school where he received his journeyman's license. He then continued his training to achieve his Virginia Master's Elite Tradesman license status, and is continuously training to stay current on local codes and procedures. He can handle any plumbing project from basic repairs and installations to elaborate plumbing work. Joe has the know-how and skills to execute custom, high-end plumbing projects from start to finish, paying attention to details and finished materials so that you can be sure to have long-lasting, quality and beautiful projects both above the fixtures and below. We are the Best Master Plumbers in Northern VA! When you want knowledge and experience, done right the first time. When you need high quality and attention to details. We can handle large-scale and small projects. We do such a great job that most of our work comes from referrals! We have expert knowledge of plumbing codes in Northern VA counties such as Fairfax, Prince William, Loudoun and Alexandria. ©2017 Tile and Plumbing Specialists, LLC. All Rights Reserved.